I wanted to sew a purse organizer for a very long time. Over a year ago I found a nice tutorial on pinterest, but never went on. In the meantime, I found another tutorial. Last weekend I decided to finally sew one. 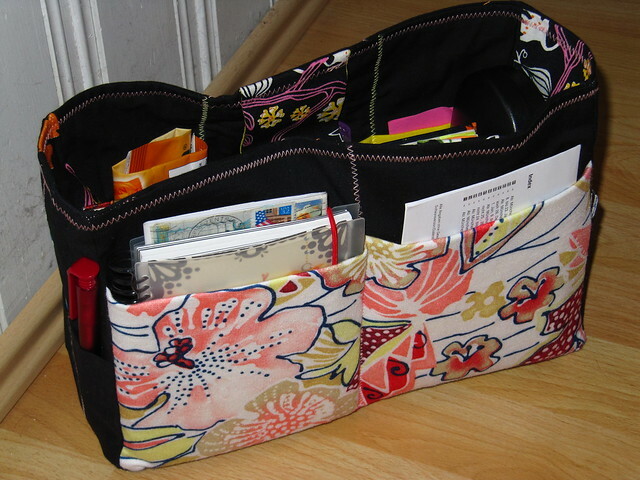 I did some additional “research” on pinterest and found a dual purse organizer (one you could buy). So I combined the explanations from the two tutorials with the inspiration from the organizer one could buy. 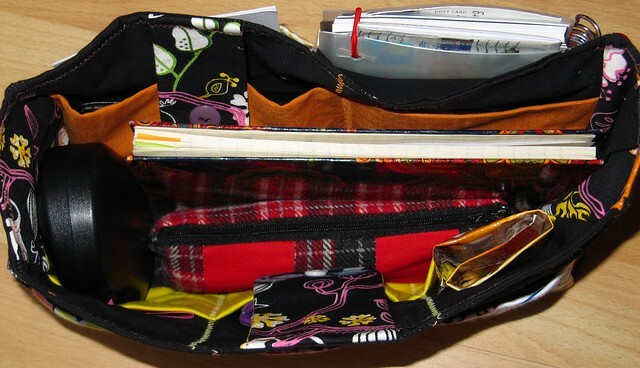 I chose to have pockets on the outside and inside of the organizer instead of two layers of pockets on the outside. And I added pockets to the side panel. I also did not add zippers – to secure my mobile phone and my wallet, I added two flaps like Frau Liebstes did. And like her, I also used A4 paper sheets as pattern basis (if there is any interest I will share them with you)(tutorial here). 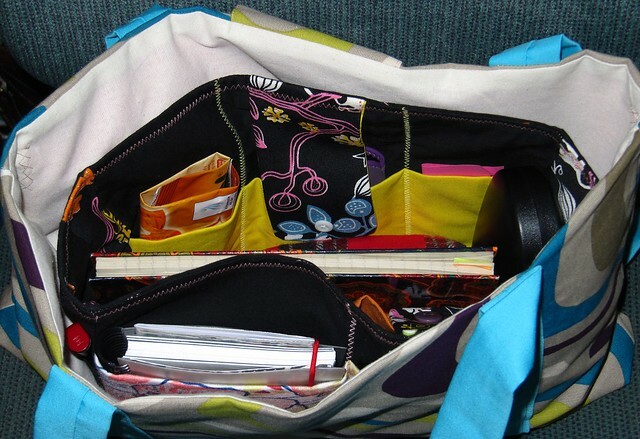 Now I don’t have to think about how many pockets and zippers I want to add to the next bags I want to sew. 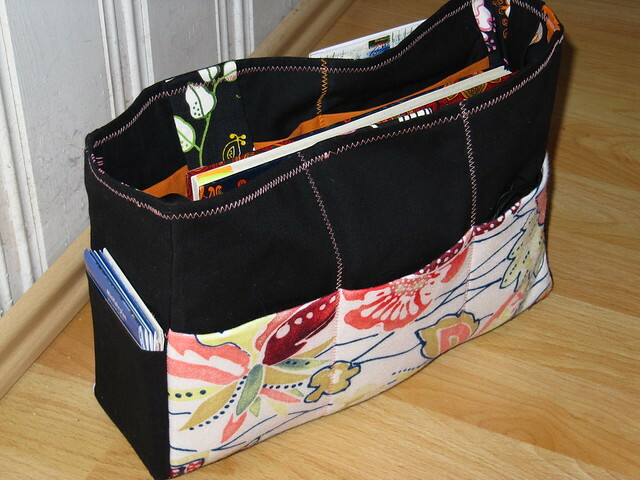 I can sew simple bag and just insert my new purse organizer. And no need to repack everything! For example, I can use it with my new notebook bag. Well, without the notebook then ;). So very useful…and a great way to use scraps. I’ve seen these in stores but been blown away at the prices! Love big purses but not fishing in them! I was also asthonished by the prices – but luckily I can make one on my own ;). And I got rid of another couple of scraps. Meant to add that I am interested in how you created this…ie with A4 pages! So, if you feel like posting a tutorial, that would be great! !